Our community has witnessed a 20% increase in self harm and violent behaviors in our children between the ages of 10 and 19. To combat this, CISDR will provide training to help our community identify risk indicators, connect to resources, and save a young person’s life. Youth Mental Health First Aid is the evidence-based intervention training designed to help adults identify, react to and support a child (age 10-18) experiencing a mental health or addiction issues or is in active crisis. The course introduces common mental health challenges, reviews typical adolescent development, and teaches a 5-step action plan on how to intervene. Topics covered include anxiety, depression, substance abuse, disorders inclusive of psychosis indicators, disruptive behavior disorders, and eating disorders. This is an 8 hour certificate course, covered in two 4 hour sessions. Please use the form below to register. 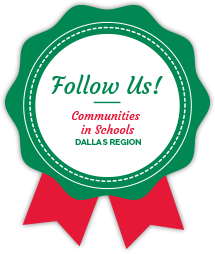 CISDR Staff, please contact us at connectcis@cisdallas.org. Thanks to our generous donors, we are able to offer a $20 discount to every educator attending. How many educators are attending? Please list attendee name below. Please list attendee names below. Since this is a professional certification course, it is important that we keep in contact with you. Please make sure to enter your name, email and phone number on the form below, as well as on the Billing Information section of the payment screen. Click the button below to continue to the secure payment page. We accept Visa, MasterCard, American Empress and Discover.